Now it’s the Apex launcher’s turn to bring the Android 4.4 KitKat look and feel to everyone, with transparency and all. Looks awesome. 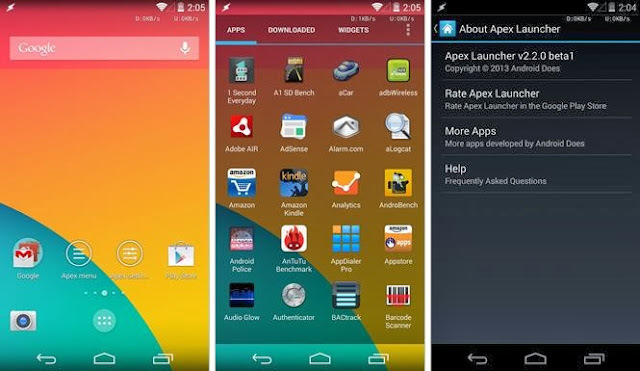 Apex Launcher 2.2 is still in beta, but will soon be available in Google Play Store. Apex together with the Google Experience Launcher, will make you have everything KitKat offers, at least when it comes to design and looks. A question: Can I use the Apex Launcher only to get the transparency thing, and the Google Experience Launcher for the rest? I mean, the Google Experience Launcher is so incredibly good for battery life and snappiness, as I wrote about here.